Detoxing can do more than making your eyes sparkle and your skin glow – it can boost energy levels, improve digestion and help shift a few unwanted kilos too. For the week before your detox, gradually reduce your caffeine intake. If you stop it suddenly, you may experience withdrawal symptoms, such as nausea, headache, and muscular pain. The evening before you start, take a laxative such as a cascara or a small amount of Epsom salts. Obviously, omit this if you have colitis or any inflammatory bowel problems. For supper, have a light meal of vegetable soup. For the duration of your detox program, start the day with a glass of hot water and lemon, and drink at least six glasses of water during the day. Adding herbs such as mint and fennel creates interest. If you prefer hot drinks, red bush tea with a slice of lemon is a relaxing antioxidant. Detoxification program - Choose either fruit only (excluding grapefruit and bananas) or vegetable juices and strained vegetable broth. NOTE: grapefruit and grapefruit juice contain the compound naringenin, which inhibits liver detoxification. A should be excluded because they have a high concentration of carbohydrates and are not a juicy fruit, which is preferable. 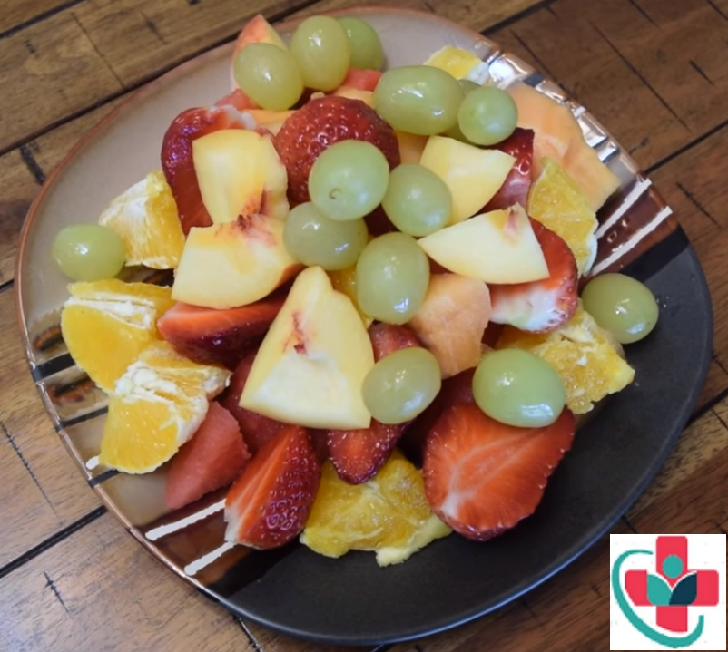 Detoxification program - Breakfast: choose two to three fruits (excluding grapefruit and banana). Lunch and supper: choose either a mixed raw salad or stir-fried or steamed vegetables. At one of these meals, including a baked potato. At the other, choose from either 125 g of low-fat cottage cheese or one hard-boiled or poached egg. Snacks: 125 ml plain, low-fat yogurt or an apple or pear mid-morning and mid-afternoon. Detoxification program - Soak muesli in a bowl of water overnight. Add grated, peeled apple, together with 125g low-fat, plain yogurt. Mid-morning: fruit. Lunch and supper: at one meal choose a mixed salad with baked potato, cottage cheese, and one or two slices of whole-wheat or rye bread. For the other meal choose either fish or chicken or tofu, together with mixed vegetables. Daily skin brushing with a soft, dry brush before bathing, as well as massage and hydrotherapy, help to aid lymphatic drainage during detoxification. Sauna helps to remove toxins from the fatty tissue. The lymphatic system consists of a comprehensive network of lymph vessels throughout the body, with a chain of superficial lymph glands draining into deep lymph modes following major blood vessels. Lymphatic form a major pathway for the elimination of toxins and waste products draining into the blood circulation. Liver function may be supported by including beetroot – raw, cooked or juiced – in your diet. A really good vegetable juice combination would include beetroot, carrots, and celery. Alpha lipoic acid is an especially good antioxidant, which has a beneficial effect in helping to remove toxins from the liver. At the end of your detoxification programme, you should both look and feel years younger.